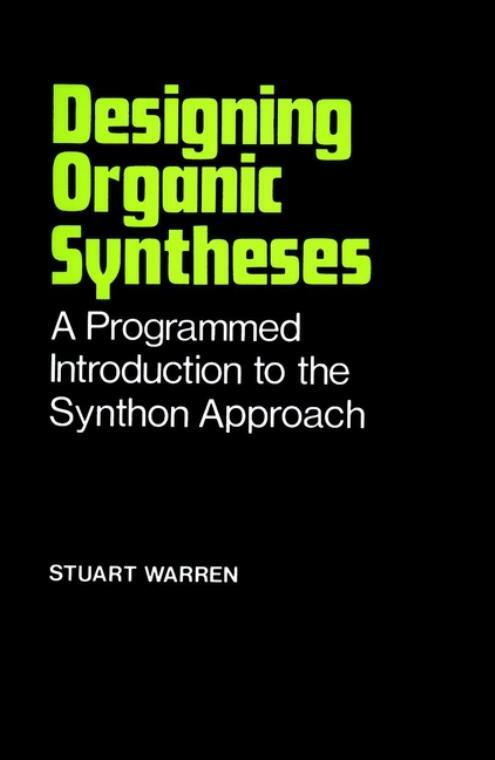 This programmed book aims to teach students to design organic syntheses for themselves. Almost all available books on synthesis describe methods and syntheses already carried out by others. This book confronts the student with the problem of synthesizing molecules given nothing but their structure. The synthon approach is used: disconnections breaking the molecule into useable fragments (synthons) are introduced to the student who then teaches himself how to use them by solving a series of problems of steadily increasing difficulty. Though the book has the form of a programme it is not a conventional programmed text. There are no multiple choice questions. Instead, the student has a planned sequence of problems designed to demonstrate the use of each new concept and to test his understanding of it. Each problem is followed by possible solutions and full explanations, so that if the student fails to solve a problem he will still understand the answer better for having attempted the problem himself. The student therefore has the possibility of continuous self–assessment through the use of a large number of problems. What Do You Need to Know Before You Start? How to Use the Programme. Special methods for Small Rings: 3– and 4–membered Rings. Problems with Several Published Solutions.